The delightfully named business (no pun intended!) ran through the flatlands of Holland district from Spalding to Boston by way of Gosberton, Donington, Bicker, Swineshead and Kirton Holme. J W Camplin was the proprietor when the firm commenced in business in March 1926 with a single 14-seater vehicle. Their operating base was alongside the road from Donington to Bicker. The town of Donington is remembered as the birthplace of the 18th century explorer Matthew Flinders. In 1798 he circumnavigated Tasmania for the first time and proved it to be an island. 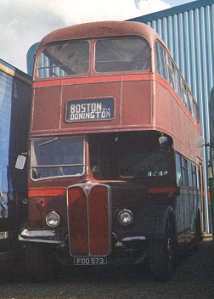 In early years Thomas Bett of Billingborough competed four times a day on the Boston to Donington section on his route to Bourne and Stamford; this was acquired by Lincolnshire Road Car in 1937. 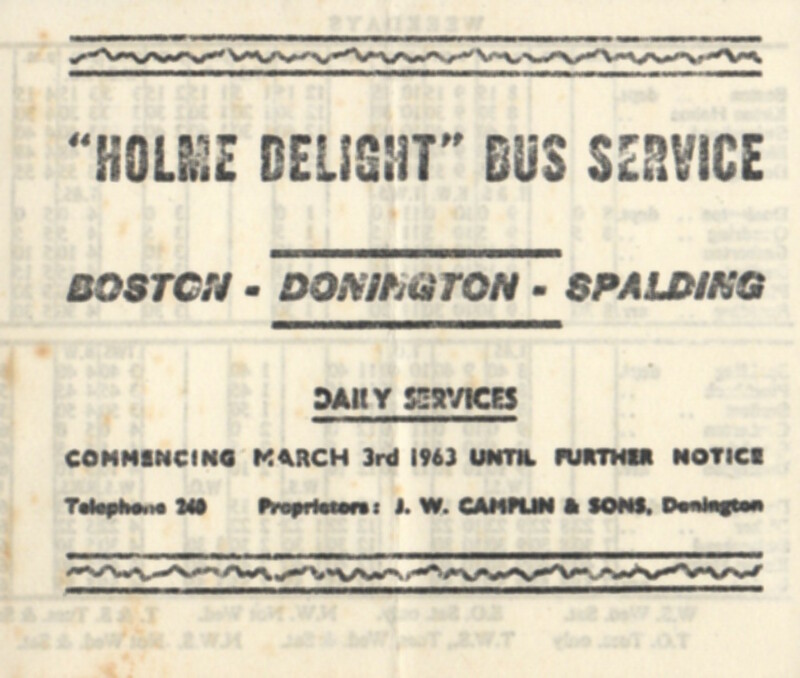 Illustrated below are the September 1947 and March 1963 timetables for the Holme Delight Bus Service. 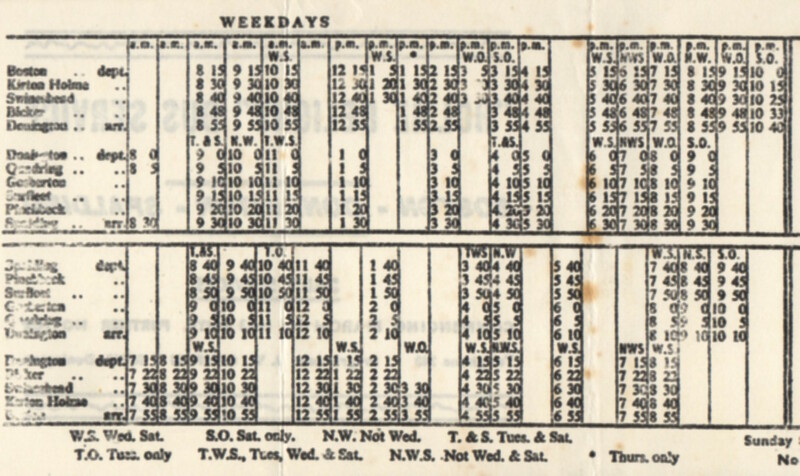 In both a basic two hourly service between the two termini was enhanced with market journeys for Spalding on Tuesdays and Boston on Wednesdays. 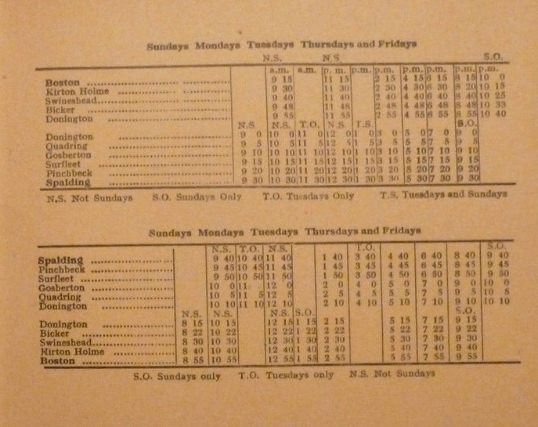 The earlier timetable indicates proprietor 'J W Camplin' whilst the latter shows 'J W Camplin & Sons', the sons joining the business in the mid-1950s. In both timetables the Sunday service is of sufficient provision to require two vehicles in service. It is assumed that the 'Holme Delight' name was associated in some way with the village of Kirton Holme. Camplin's bus route passed to Kimes of Folkingham in 1970, who operated the route as their service 59 (operation then passed to Brylaine of Boston from August 2013 following closure of the Kimes depot in Folkingham, subsequent to the sale of the Kimes business to Centrebus of Grantham). 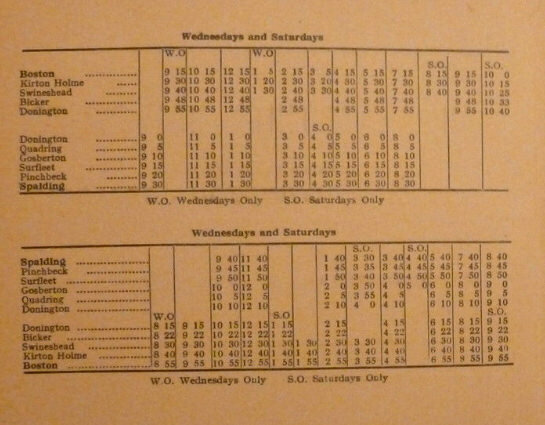 The timetable being run by Kimes in 1978 was not dissimilar to that of 1963, although the end to end running time had been reduced slightly from 75 to 70 minutes. It was in many ways a route of two halves, Boston to Donington and Donington to Spalding. 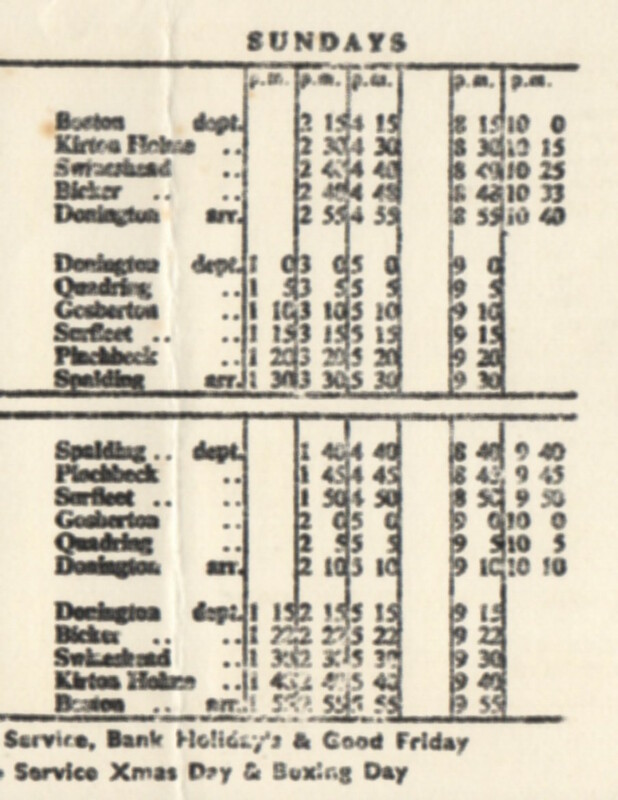 In fact there was perhaps little through traffic between the two termini as there was another route which operated much more directly between Spalding and Boston. This was Lincolnshire Road Car route 59 via Gosberton and Sutterton which took only 55 minutes. On the common section of route between Spalding and Gosberton the two operators co-operated to provide a half hour frequency. (As will be noted whilst route 59 is historically associated with the Spalding to Boston road it originally applied to the shorter route via Sutterton and later applied to the longer ex-Holme Delight route through Donington and Swineshead). 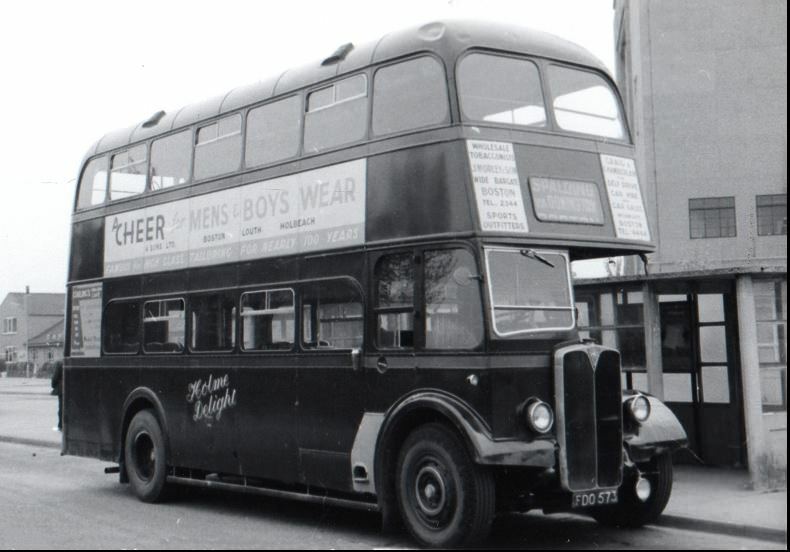 During the 1950s the Camplin fleet numbered about ten vehicles and the main bus service was primarily provided by two AEC double deckers on weekdays. New in 1955 was AEC Regent III HDO661 with a Park Royal body fitted with doors. The other Holme Delight double decker has been preserved at the museum of the Lincolnshire Vintage Vehicle Society. This too is an AEC Regent III but with 60-seater Willowbrook body, FDO573. It was new to Camplins in 1953 (their first double deck vehicle) and is in red livery with platform doors, air brakes and preselect gearbox. In 1964 there were seven in the fleet, the two double-deckers mentioned, a single deck dual purpose Bedford 44-seater and four coaches. After the bus service passed to Kimes in 1970 Camplin continued with coaches until 1977 when they were taken over by Elseys of Gosberton. 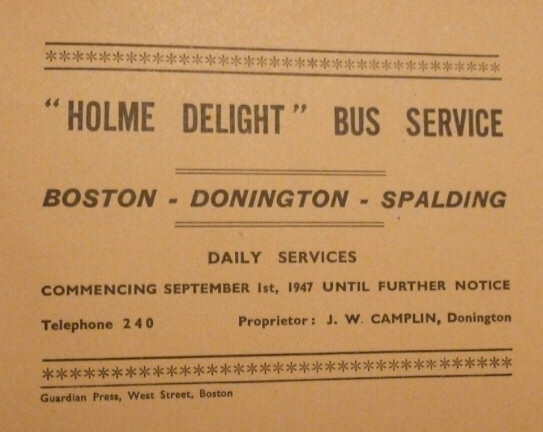 "In the early 1930’s J W Camplin, with his fleet of buses called ‘Holme Delight’, arrived in Donington and built a bus garage on the A52 at the border with Bicker. 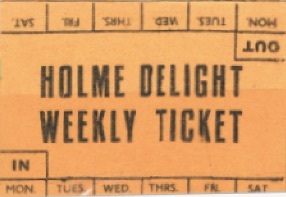 The ‘Holme Delight’ arrived at the golden age of bus travel with full seats and standing room only on market days and on Saturday evenings to go to the pictures. Cars were still few and far between and the bus was the only way for the ordinary person to go shopping or to get to the cinema. The buses had their share of characters at the wheel, perhaps the most remembered being Archie Lenton, Joe Richardson and ‘Snooks’ Harrison, who always stopped the bus outside his house in Swineshead and went inside for a cup of tea – leaving a bus full of fuming passengers. This service looked after Donington for near forty years until 1970 when it was taken over by Kimes of Folkingham." at the Lincolnshire Road Transport Museum. Photo by the late John Boylett, courtesy of the LVVS.